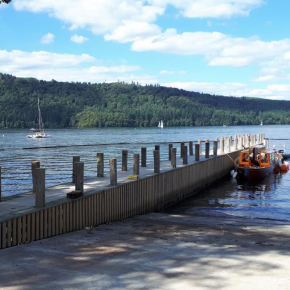 It’s been full steam ahead for Aggregate Industries’ expert concrete division recently, as it helped to provide a complex flooring concrete specification for the newly-launched, Lake District’s Windermere Jetty project. 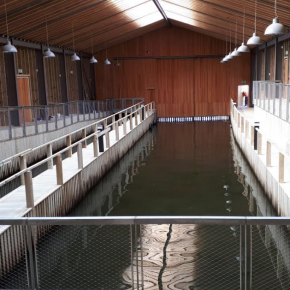 Currently being constructed, Windermere Jetty was commissioned by North West’s arts and heritage association, Lakeland Arts, on the site of the original and iconic Windermere Steamboat Museum. The world class facility houses a collection of more than 50 vessels of historic boats, encompassing the story of boating on Windermere from 1780 to today. The brief tasked lead contractor Thomas Armstrong Construction with providing a consistently dust free and durable surface flooring finish, with no cracks to the museum’s extensive exhibition halls. 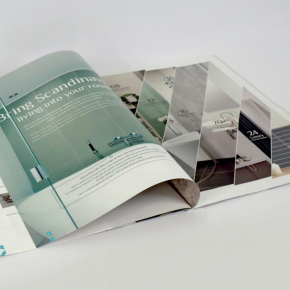 The business was subsequently given to Aggregate, who oversaw the entire flooring specification; not only supplying the full product requirement but working with a design specialist to implement a seamless solutions approach. Vitally, as a traditional dry shake topping would have proved hugely difficult to install over the museum’s underfloor heating solution, a tailor-made combination of internal Diamondcrete® slabs was used throughout. Carefully constructed from controlled binders and admixtures in conjunction with aggregates, Diamondcrete boasts enhanced durability and enhanced performance where abrasive elements are present. The result is a robust, superior strength concrete flooring solution that can withstand the harsh weather conditions associated with the area, along with high frequency and use that is expected of the museum. Approximately 150 cubic metres of Diamondcrete was supplied and installed on the project. 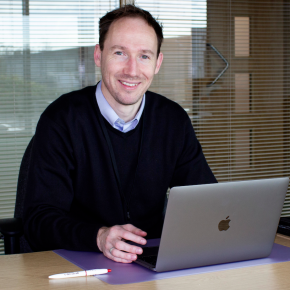 Neil Cochrane, specification manager at Aggregate Industries, commented: “As a market leader, we have a raft of high performance concrete solutions at our disposal, all of which are based on carefully selected controlled binders, admixtures and aggregates, in order to provide enhanced and special technical properties for specialist applications. “This latest project at Lake Windermere is the perfect example of the importance of taking a tailored approach to concrete specification.